Master Chief Fire Controlman Allen T. Heady entered the Navy in August of 1974. He completed Recruit Training in Great Lakes and entered the Advanced Electronics field. After completing "A" and "C" schools, he was assigned to the Weapons Department onboard USS KITTY HAWK (CV 63) until December 1978. He served the next two years onboard USS ENTERPRISE (CVN 65). In January 1981 he attended training for MK-23 Target Acquisition System followed by an instructor tour at Combat Systems Technical Schools Command Mare Island, California. During this tour, in September 1983, he was advanced to Chief Petty Officer. In October 1985 he transferred to the USS JOHN YOUNG (DD 973) to serve as LCPO for FOX Division. He attended Recruiter School in November 1988 then reported to Navy Recruiting District San Francisco. He was assigned as Recruiter in Charge at Navy Recruiting Station Ukiah, California. In December 1991 he attended the Senior Enlisted Academy (Class 50) then reported for duty aboard the USS MERRILL (DD 976). He was assigned as the LCPO of Missiles Division. In April 1994 he reported onboard USS DENVER (LPD 6) as the Command Master Chief. In March 1997 he reported to Fleet Air Reconnaissance Squadron Five (VQ 5) as the Command Master Chief. 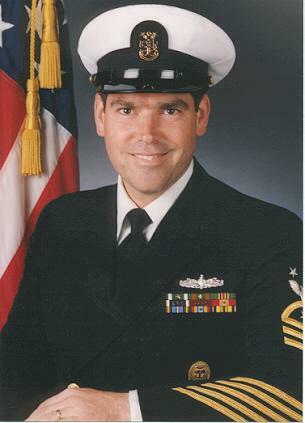 After a highly successful tour, in July 1999, he reported aboard USS ELLIOT (DD 967) as the Command Master Chief. Master Chief Heady has been awarded two Navy Commendation Medals and two Navy Achievement Medals as well as other campaign and service medals.